Welcome to the haunted hovels section of haunted places in Alabama. Please select a link below to view information on that location. Alabama became a state of the United States of America on December 14, 1819. After the Indian wars of the 1830's, the native American population was pushed out of the state and white settlers arrived in large numbers. The state was part of the Confederate States of America from 1861 to 1865. When the American civil war ended in 1865, the enslaved African American population was freed and became citizens of the USA. The state has been the site of much violence through the years, mostly the Indian war and American civil war, also it is common knowledge that slaves were treated very poorly. Strong negative emotions of violence and sadness, amongst other things, are said to create ghosts and this state has definitely had it's share. various sources report there to be hundreds of haunted places in this state, however, it is up to the viewer to decide exactly how haunted this state could be. Reportedly haunted by the ghost of a young man who has been seen in the band and choir wing of the school. He has been known to appear at any time of the day but vanishes just as quickly as he appears. His identity is unknown. The community of Indian Meadows is said to be built over an ancient Cherokee Indian burial ground. At night, dark figures have been seen scurrying about in the woods on the outskirts of the neighborhoods. People who have passed by say they can even hear someone following them, but turn around to find that no one is there. People have reported scratching noises outside their houses late at night. One man heard scratching sounds on his front porch late at night, and each time he turned on the porch light to investigate, nothing was there. But the next morning he found claw marks down the banister of the porch. 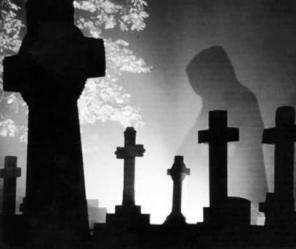 Many shadowy figures have supposedly been seen round the area. In several homes, people have reported hearing footsteps late at night in hallways or on stairs, doors slamming shut by themselves, voices calling out their names, electrical equipment going on and off by itself, and even the sound of someone or something running through the house.t and you just might have your own creepy experience. The building is an old cotton mill which opened in 1896. The mill today lies abandoned and is in quite bad shape. Unexplainable cold spots have been felt here but no harder evidence of paranormal activity has been reported. General reports of doors slamming and lights flickering on and off, as well as doors and lockers said to lock/unlock themselves. Employee's report the elevator will go up and down by itself. As well as the sound of water running in the bathroom and it stops when they investigate. The reason for the hauntings is said to be because the owners of the house that was torn down the make the library are angry at the loss of their home. So they haunt the building out of revenge. The legend of Anniston High School's locker room is known widely throughout the school, as an urban tale.The story is as follows: A girl is late getting changed and leaves something behind. She decides to go back to get it while sending her friend to hold the bus for her. The girl is then raped and killed in the locker room and the body was never recovered, and the ghost of the girl now haunts the school. How true this is remains unclear as it is a highschool tale. The place is said to be haunted by a nun who killed herself by committing suicide. She is said to of hung herself in the main hallway. It is said you can hear her kicking the chair out from under her feet and then choking sounds late at night. The rope has been seen numerous times by many churchgoers. Said to be built over an Indian burial ground. An accident in 1972 left a young girl dead after being hit by a train near the hotel, they say you can hear the six year-old running through the halls of the building. McCandles Hall - It’s supposedly haunted by a girl in a white dress who died in McCandles Hall. It’s also supposedly haunted by Madame Childs, who haunts the young women who stay out past curfew. Was the site of old city hall/morgue in the early 1900’s. Faces have been seen peering out windows, and apparitions have been seen around the building, also some claims of poltergeist activity. Late at night while everyone is quiet and still, a ghostly figure can be seen leaving the cell in the middle of the jail. Also, the toilet is said to flush on its own. The legend has it that the cell served as a "drunk tank" and the cops hung a man there in the early 1980s. The cemetery is just over 200 years old and is the final resting place of many Civil War soldiers and deceased slaves. There have also been reports of Occult happenings there. Along with these reports came various accounts of animal corpses around the cemetery. Apparitions have been seen there, the feeling of being followed and strange screams have been heard. This used to be the Old Iron Plant, but is now a popular location for concerts. The ghost of a worker who was killed at the plant has been seen walking around the catwalks above the main floor, where the concerts are held. It's been rumored that ghosts have been sighted walking around the courthouse grounds at night. These ghosts are said to have been the hanging victims of the death sentences carried out in the 1800's. Reporters have investigated and it’s said to be haunted by a ghost that occupies the top floor. It was an old courthouse, but now it’s just a museum to artifacts of a variety of things. The blinds open and shut by themselves, and knocking can be heard in the upstairs kitchen and bathroom. Several employees are said to have heard strange noises of people walking around in empty rooms as well as seeing ghostly apparitions of deceased patients in certain rooms. In the employee lounge, it was reported that an employee was in the bathroom (an old hospital room) and heard footsteps and jingling keys in the room outside the bathroom door, as well as someone tinkering around in the room. No one was there. This old fort is supposedly haunted by soldiers that died there. Apparitions have been reported to appear all over the premises. People have claimed that a strange figure will follow people leaving the fort, then disappear. It is said the ghost of Evelyn Carter haunts this house. Also, the smell of a man named Colonel Gaines' pipe is smelt near his study. It is said the building is haunted by the ghost of a woman who was pushed over the stair rail by her lover. She fell and was killed instantly. Employees that were working on the third floor said they have heard the patter of small feet and childish laughter when no one is there. Supposedly, a run-away slave was hung from the bridge during the civil war. There have been many sightings of his apparition in the area. Haunted by a civil war general's son. He drowned when he jumped head first into Cypress Creek from the old one lane bridge on Waterloo Road, a couple of minutes from campus. His wet footsteps can be seen at night and apparitions of a boy soaking wet have been seen in the area. This location was formerly a plantation with a brutal history. Witnesses have caught glimpses of a slave hanging from a tree there. It is said at night you can hear banging and see black shadows. It is a common report to see apparitions in the backyard of the hospital at night. On New Castle Road there is an old house that is believed to be haunted by several spirits, one in particular called Melissa who is thought to have lived on the land before the house was built. She roams around in the yard by a pond that is in the front of the house. Some believe she lost a loved one in that pond. The story goes that years before, a woman and her baby were in a car accident and the baby landed in the ditch. It's said that you can hear the baby crying around midnight and the mother calling out for her baby. A woman supposedly killed six of her husbands here. There have been various reports of men screaming when no one is around. There is a family plot where her father, the first settler of DeKalb County, is buried. Haunted by the ghost of Sally Carter, who is buried on the Carter Estate. She has been sited walking the grounds. Some say she is responsible for toppling her headstones in the cemetery. The Dallas Mill was built in 1891 and burned down in 1992. It is haunted by a man who died while cleaning the smoke stacks shortly after the mill was built. It’s also said to be haunted by a homeless person who lived there after the mill burned down. People have reported seeing him wandering around the ruins. There have been reported instances of footsteps, message boards being torn off doors and flung down the hall, moving furniture in locked rooms, and something playing with people's clocks. The bridge collapsed when two men in an asphalt truck went over it. Their ghosts are supposed to haunt the new bridge. A man named John Monnasco died after an eighteen-wheeler hit his car on Warrior River Bridge. It is said that he haunts the bridge and throws sticks and rocks at the trucks that pass the bridge, trying to get his revenge. A young woman who was beheaded on a road while riding in her wagon in the 1800s still haunts the area. The family, who owns a hunting camp next to the lane where she was killed, has experienced unexplained events. Seeing young children play in period clothes and disappearing, and being slapped in the middle of sleeping have all occurred without a single explanation. Room 313 is said to be haunted by two different ghosts. One is named Anne Kirtley, and the other is a girl who supposedly killed herself in that room. The doors and windows shake, there are cold spots and more often than not, the entire room is a "cold spot". The ship was brought to Mobile in 1964 as a tourist attraction and memorial for veterans in Alabama. The Alabama is a South Dakota class Battleship that was completed in 1942 for use in the second world war. The ship saw plenty of action against the Japanese in the south Pacific and is credited with shooting down 23 Japanese aircraft. Somehow, the Alabama and her crew managed to make it out of WWII without casualties or damage from enemy fire. The only deaths on board the ship were 8 people in a 5" gun mount that were killed by friendly fire from another gun turret on the ship. Mount 9 fired a round into mount 5 which exploded and killed everyone inside. There were little fragments of bone and flesh plastered on the walls inside the turret where the men were vaporized by the exploding shell. There were also two other deaths while the ship was under construction at Norfolk Naval Shipyard. A former worker reports that they had to stay on the ship overnight alone quite a bit, so they got their share of scares. Their first encounter was in the Marine Compartment where the Marines slept. Footsteps were heard approaching from around the corner when there was nobody on board. All around the ship, strange footsteps and voices were heard. Heavy solid steel watertight hatches on the superstructure would slam shut with a loud thud for reasons that could not be explained. Late at night when the whole ship was very quiet, the bulkheads would seemingly come alive with popping and tapping. The architect of Capitol and Custodian reported seeing the ghost of a Confederate woman roaming the halls on the second floor offices. There have also been reports of water faucets turning on by themselves in the Governor's reception area restroom. The home was built on an old slave quarters. It is said to have a cemetery under the house. The biggest complaints are of noises and things being moved around. In the 1800's, a hotel was built on the mountain during the war. The Yankees used the motel to hold rebel soldiers. The hotel was only used for a few weeks before the war was over. All the prisoners were killed and half the hotel burned down. It is said you can hear the screams of soldiers when walking around the area. Writings on the walls, strange noises, and cold spots are some of the phenomena that occur in this old mental institution. There is a tale of an old Indian ghost that has been named, "Mary". She'll knock things off the shelves, open oven doors and then slam them closed. Also, the night crew will turn off all the grills, and in the morning they're all back on. There are constant strange whispers over the drive thru speakers and in the bathrooms. The Horton House is an abandoned house located on the outskirts of Fort Payne in a small town known as Pine Ridge. The house is the site of a vicious murder, where a father went insane and mutilated his wife and his three children, and committed suicide shortly after. Witnesses say that the entire family haunts the house. There have been stories of séances that went horribly wrong in this house. There have also been numerous accounts of people being choked when they walk into this house. Knocking can be heard on the walls and the floors, and the sounds of a bird will come through the bay window that turns into the sound of loud screams of a young girl. People often state they have seen apparitions wandering the building. It is a very old historic building built in the early 1800's. It is the site of tours in Selma and a historic landmark. Reports of fires starting by themselves as well as things said to move on their own. The well in the deep part of the property had two children thrown into it over 50 years ago. There’s a faint smell of blood in the old dairy. A child can be heard running through the hallways. Sometimes it makes its exit by busting through a window while someone is in the room. Other footsteps are heard in the house, candles and precious things go missing, and animals turn up dead. This stretch of forest is said to be haunted by the ghosts of a settlement of freed slaves. The people set up a small settlement in the flat-forested region shortly after the civil war. It is said that the KKK burned the little town one night and killed a large number of the residents. A few buildings still stand out there, and lights have been seen among them at dusk. There are also reports of the smell of burning meat. It is said in the bathroom area and the upstairs level, cold feelings come over you, and strange figures sometimes appear. A feeling of being massively unwelcome are also among common reports. This jail house is haunted by the ghosts of people once incarcerated there. Legend has it that their screams can be heard as they were being burned to death, and you can hear the laughter of the guards that stood by watching. Noises can be heard, as well as sightings of a female figure. Also, items shake and move by themselves. The ghosts of mental patients that were tortured, beaten, and killed in the institution still roam the halls. There is a foul odor as you descend into the basement, but there is no longer access to the basement. On the second floor, there have been reports of one of the rooms being haunted by a girl who use to live there. Also, you can hear voices and loud sounds coming from the third floor of this hall. It’s strange that noises come from there, because nobody has occupied the third floor in years. There is a man that died there who worked in the boiler room. His apparition has been seen wondering the school throughout the day. This one of our haunted places in alabama was submitted by Christy and remains un-altered: This campground is owned by The Cherokee Tribe of Northeast Alabama and is located next to Cathedral Caverns. The land was once an Indian village and the spirits of the people who lived there still roam the property. 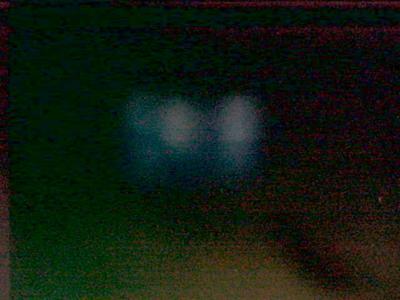 At anytime of day or night, you can take photos and capture orbs in photos. At night, you can hear footsteps and see shadows all over the place. Photos taken at late at night capture ectoplasm, orbs, and even apparitions. Sometimes, you may even hear the sounds of drums. There is lots of spiritual activity at this place. To camp or investigate here, you must contact the tribe and get permission because the state park ranger may run you off otherwise. There is a list of phone numbers on the door of the office with contact information. You must be respectful when you go here. Believed to be the site of where a school bus accident occurred in the 1950's. There are reports of the ghosts of children playing on the tracks late at night or very early in the morning. This is the final resting place for prominent black families. It is known for a light that shines over the graves. People have searched and cannot find the source of the light. It is also said that visitors can hear people speaking and calling them by their name.